Several non-bank lenders have been voicing their support for the broker channel and highlighting their dependence on them following the release of the banking royal commission final report. Leading non-bank lenders have been voicing their support for the broker channel and highlighting their dependence on them following the release of the banking royal commission final report. On Monday (4 February), the final report from the Royal Commission into Misconduct in the Banking, Superannuation and Financial Services Industry recommended that changes in brokers’ remuneration should be made over a period of two or three years, by first prohibiting lenders from paying trail commission on new loans and by then prohibiting lenders from paying other commissions to brokers. The industry has reacted with shock, anger and dismay at the recommendations, with some saying the changes would have a “significant impact” on the viability of the broker channel and potentially damage competition in the marketplace. While many have focused on the ability of brokers to boost competition by placing downward pressure on lenders to reduce rates, it should also be noted that many smaller lenders rely almost entirely on the third-party channel for distribution and their future viability could also be impacted if the channel is negatively impacted by the proposed changes. Indeed, since the release of the final report, several non-bank lenders have come out voicing their support for the broker channel and highlighting the competition that they provide. Pepper Money CEO Mario Rehayem commented: “This week’s release of the banking royal commission’s final report and recommendations singled out mortgage brokers and the changes to their remuneration model. As a result, many brokers we have spoken with say they are being forced to reassess their futures in the industry. “Pepper Money supports the broker channel because we believe they provide a wide variety of loan choices to borrowers from all walks of life – something the banks frequently do not do. Mr Rehayem continued: “Pepper Money also believes brokers play a vital role in supporting competition in the financial services industry. “It is no coincidence that brokers’ market share has grown to close to 60 per cent of all mortgages written. Australians have voted with their feet to support the broker channel. Likewise, Andrew Way, director at Semper Capital, commented that historical “abuses” of conduct and regulation were “incubated” by “the lack of an active and able competition”. He continued: “The banks are going to become increasingly expensive. The burden of legacy retail branch networks is an inhibitor to rate reduction, as is the need to take rate from home loans to prop up unsecured lending. What better opportunity then to reduce competition by removing the distribution networks that are encroaching on bank rate territory and have the capacity to improve price-efficiency? “Just as the finance playing field looks to be levelling, the royal commission for some inexplicable reason takes aim at the one thing competitors to the four banks need – broker distribution networks. “We taxpayers funded the royal commission. Non-banks lenders benefit from broker distribution networks and SMEs are going to rely on them too because it will be non-bank lenders increasingly meeting their needs. The Semper Capital director concluded: “A cynic might cry conspiracy and we taxpayers may be the losers from a vast reduction in competition to the banks. “But for now, we encourage the broking community to have an active voice against the commission’s recommendations, though not indulge in a knee-jerk, catastrophic response. Non-bank lender Firstmac has also hit out at the “betrayal” of the royal commission recommendations and called on mortgage brokers to stop sending business to the big four banks in response. Firstmac’s managing director, Kim Cannon, said the big banks had prompted the royal commission through a series of scandals and had then successfully “deflected blame” onto mortgage brokers. “The big banks saved themselves by brazenly throwing mortgage brokers under the bus,” Mr Cannon said. Mr Cannon said it was unfair that tens of thousands of mortgage brokers could suffer severe financial stress as a result of changes recommended by the royal commission while shares in the big banks had rallied nearly 5 per cent in a day. “Australians have nothing against mortgage brokers and it wasn’t the brokers that provoked this royal commission, yet they are the biggest losers from the commission’s recommendations,” Mr Cannon said. “We are very disappointed that mortgage brokers have been made into fall guys for the banks and we support them 100 per cent. Mr Cannon added that the government should be careful to ensure that broking services remained affordable for the general public. “It is very important that any changes to the commission structure for brokers don’t put their services out of reach of ordinary Australians,” Mr Cannon concluded. SME lenders have also been coming to the fore, with Scottish Pacific's CEO Peter Langham stating that adding a broker fee for service is likely to be "detrimental to anybody who can't get funding from the banks". "Brokers play a major role in putting non-bank lending alternatives to their clients, providing real solutions for business owners when the banks can’t or won’t lend to them. A Fee for service is likely to drive borrowers straight to those with the biggest advertising budget," he said. "Brokers have helped drive lending competition and increased the visibility of non-bank lenders – Australia’s ability to provide diverse lending options for consumers and SMEs could go backwards if the fee for service is implemented. Whatever happens to brokers will be critical to the whole consumer and SME lending space. 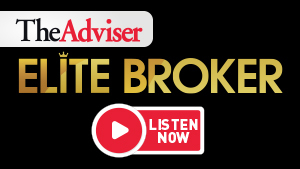 "Brokers provide an essential service for anyone looking for help finding the right funding solution, whether they want a home loan, a way to finance a piece of essential equipment, or a working capital facility that allows their business to grow. Without the independent broker, the consumer might lack the ability to see all the options open to them and end up picking funding that isn’t right for them," Mr Langham concluded. A new campaign backed by the Mortgage & Finance Association of Australia, along with several aggregators and lenders, was also launched this week reminding borrowers of the value that mortgage brokers provide in providing competition, choice and access to credit. The “Don’t Kill Competition” campaign aims to demonstrate to a mass audience the negative ramifications of potential policy changes that could be brought about as a result of the the recommendations from the financial services royal commission.